Design sandwich construction of hull and deck, basing on epoxy resin in infusion process. 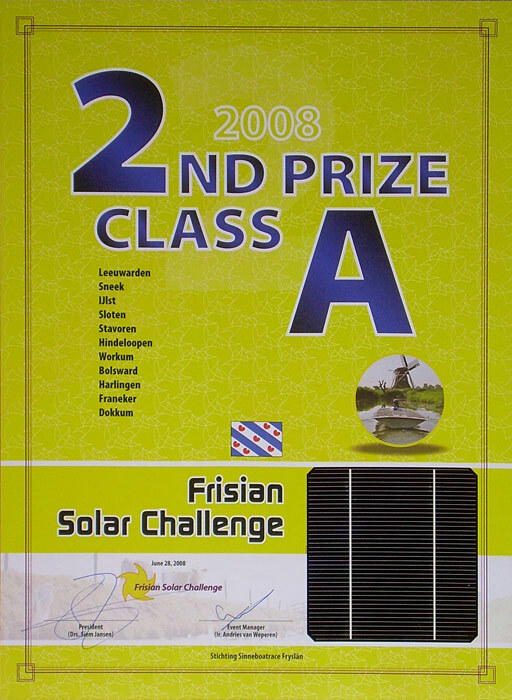 The Frisian Solar Challenge is a sunny variation of the legendary Eleven Cities Skating Race (Elfstedentocht). 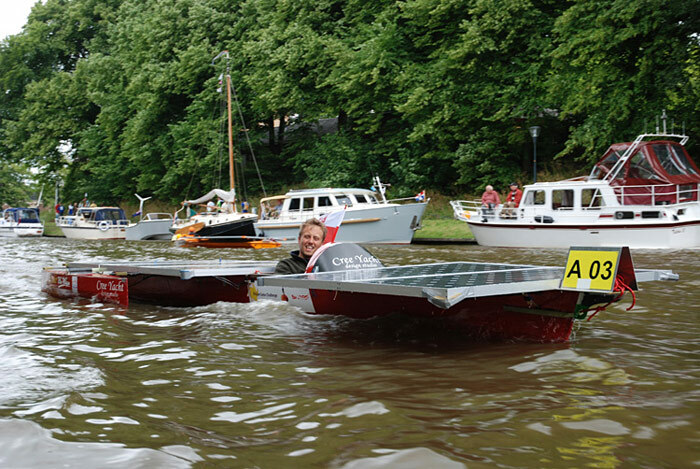 Local and international participants will navigate the Frisian waterways over a distance of 220 km, past eleven Frisian cities, in custom-designed and built solar-powered boats in June 2008. This, too, is a race of extreme hardship; after all, what does one do if no sunlight is available? 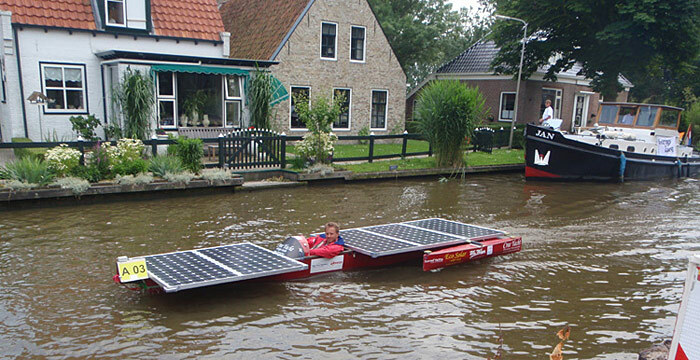 Not to mention trying to lug your solar-powered boat across dry land between waterways. 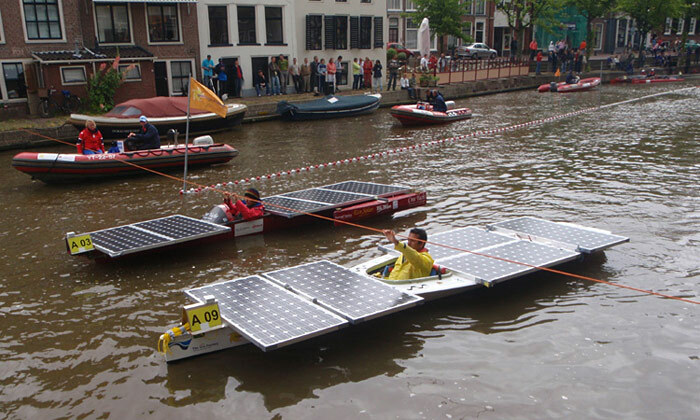 These are the kinds of situations that will truly test the mettle of the participants - both in terms of their technical and their innovative powers. 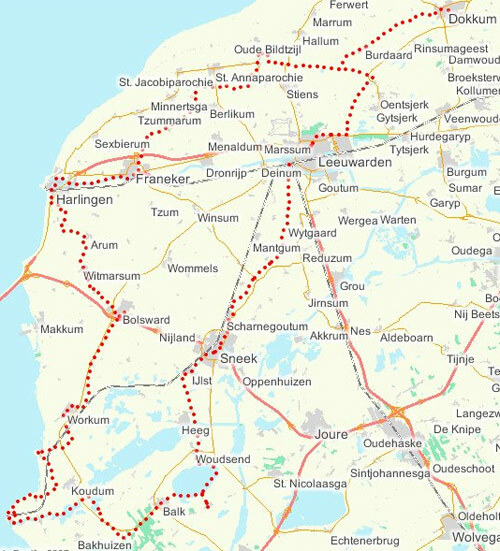 Participants are divided into three classes: Class A, Class B and the Open Class. 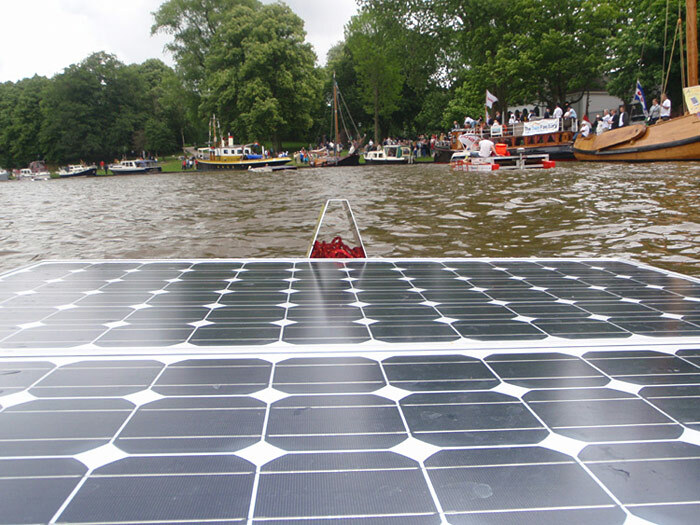 The solar panels used in Class A and B are made available on loan by sponsors Sharp and The Sun Factory. This means that the high purchasing price of these elements need not be an obstacle to participation. 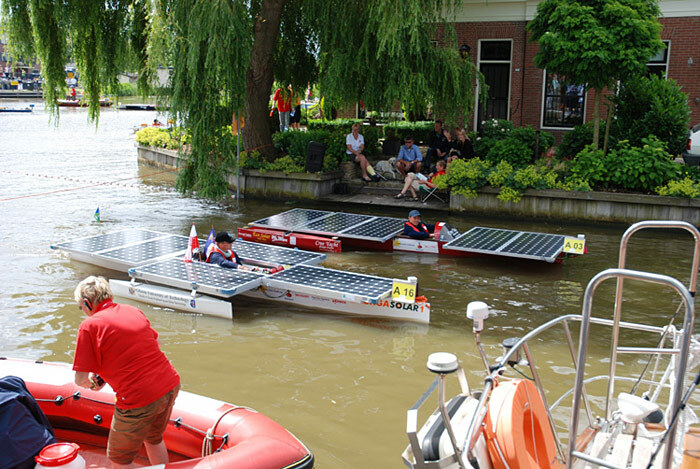 The Class A event is a race between single-pilot boats, while Class B boats are navigated by two-person crews. 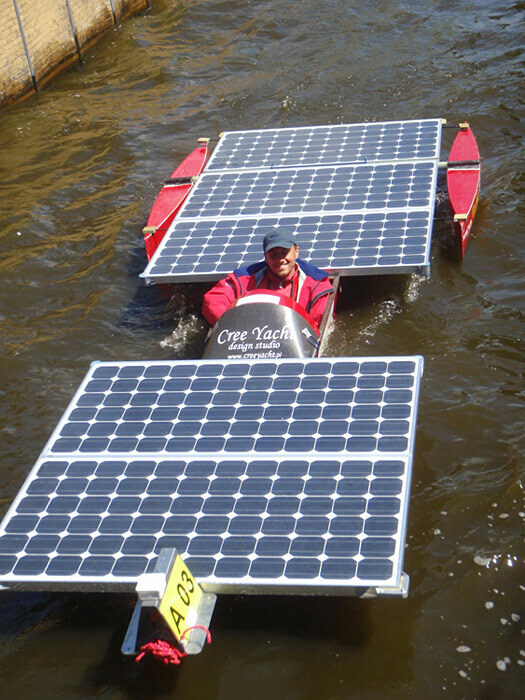 The Open Class teams are free to determine the number of solar panels they wish to use, as well as the size of the crew in the boat. In order to build boat on the highest level, special teams were established - they will work in their particular, separate domains. 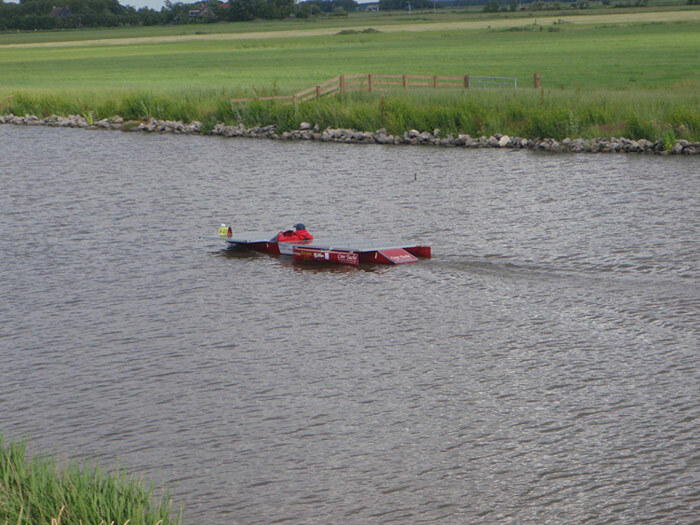 The aim of this is to design and create new vessel for year 2008. Numerical optimization of hull's shape, performed using modern and advanced software will help to minimize resistance in order to achieve the highest possible velocity. 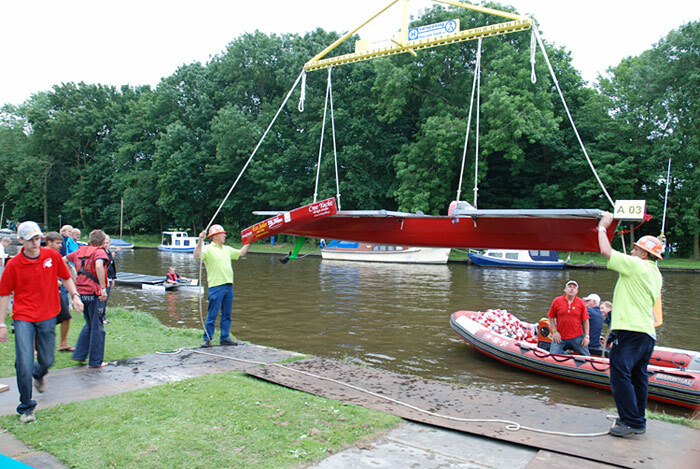 Boat build of carbon-aramid fibers in vacuum technology will make the overall construction light and durable. Implementation of engine with rear earth magnesium will increase efficiency of propulsion system, what in turn will improve performance of new unit. 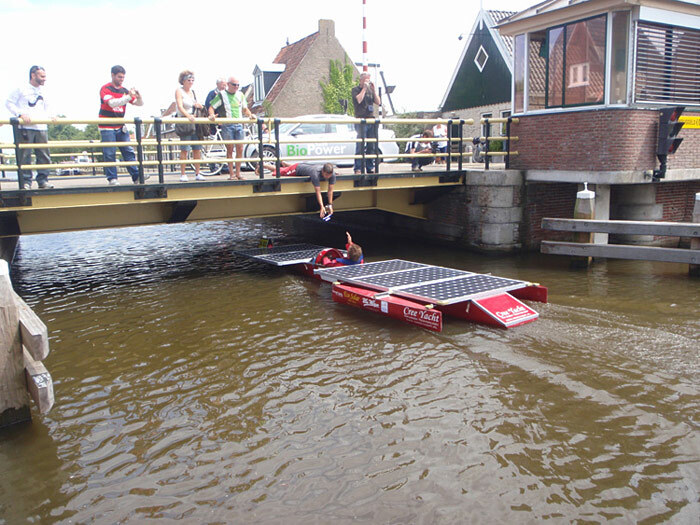 In order to streamline the entire boat and to be professionally prepared for the race in Netherlands, several days-lasting tests in summer 2007 are planned as part of preparations for the regatta. 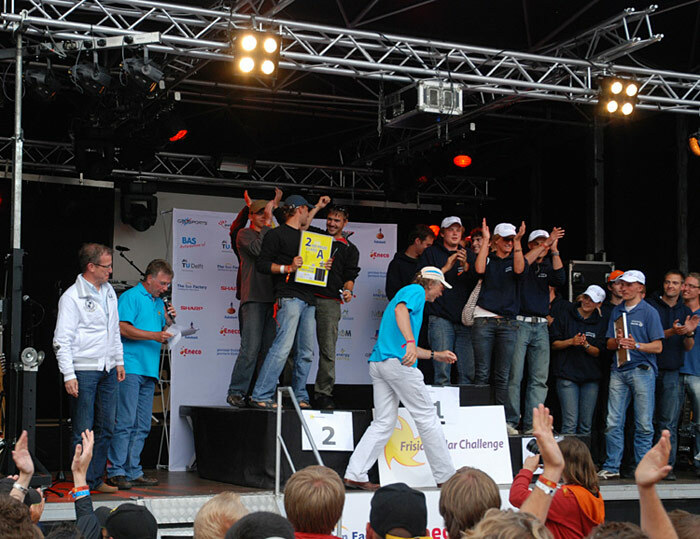 Mounting of modern navigation-communication equipment will allow to make reports straight from the route of the regatta.